The EVF... oh boy. This is/was a hot topic for quite some time. Well, you'll no doubt read many different opinions regarding the EVF of the GH3. I have a GH3 and I do have an issue with the EVF. The curved plastic "bubble" magnifier they used in the GH3 is very sharply curved. As a result, it has an extremely narrow sweet spot that you must look through (ie. dead centre, eye against the plastic). But for some, myself included, the image is always distorted/smeared somewhere no matter how we place our eye. 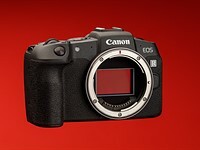 This issue has also been brought up in various reviews of the GH3 including DPReview's own official review. Some people completely dismiss the whole thing and state that it's there is something wrong with the eyes of the person rather than the EVF. But I disagree with this completely. I've compared many EVFs from different cameras and generally have no issues with the EVF image of other cameras. So, something with the GH3 is indeed different from a design perspective. I'm really anxious to try out the GH4 when it finally becomes available. I have a feeling that Panasonic has improved the optics on it. This is just based on photos I've seen of the EVF online. The only other problem I had with my copy was the rear screen went dead suddenly. It was working one minute and was dead the next. I had it replaced under warranty. The technician said it wasn't a connection issue, but that the screen itself was defective. Anyway apart from this, the GH3 has been an excellent camera and I've taken some really great photos with it. I really like the ergonomics of this camera. I still own the camera because everything else about it is great! In the end, I'd strongly recommend that you try and find a GH3 that you can look through the EVF and judge for yourself.